You'll be £13.59 closer to your next £10.00 credit when you purchase United States Airborne Divisions, 1942–2018. What's this? In 1942 the 82nd and 101st Airborne Divisions were formed and three more followed. 17th and 92nd (All American Division) and 101st (Screaming Eagles) fought in Sicily, D-Day, MARKET GARDEN and the Rhine Crossing (VARSITY). The 11th served in the Far East. The 13th did not see combat. Only the 82nd survived the post-war cull. The Screaming Eagles were reactivated in 1956 and both divisions served in Vietnam with the 101st becoming a helicopter delivered ‘airmobile’ division in 1968 before being re-designated an ‘air assault’ division in 1974. As this superbly illustrated book describes, both 82nd and 101st earned their reputations as ‘crack’ divisions at the forefront of US operations and military interventions, be it Grenada (URGENT FURY), Panama (JUST CAUSE), the Gulf Wars and most recently Afghanistan (ENDURING FREEDOM). 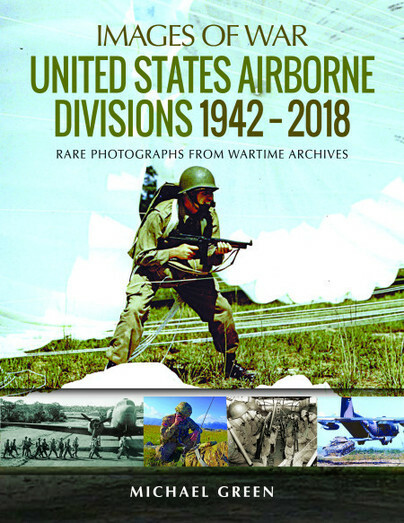 Thanks to the Author’s knowledge and research, this Images of War book gives the reader a full insight into the battles and the men and their equipment that have made these divisions the elite of the US Army.